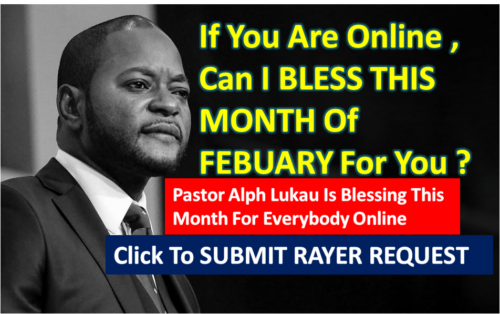 My Name is Pastor Alph Lukau and Today’s Date is FEBRUARY 6th 2019 — Mark My Words …. – From today I will count it all joy to endure hardships, knowing that God will see me through. – I am not alone and that God is with me in my tribulations and will deliver me from them all. – I am an overcomer in Christ our Lord! – I am a winner and not a loser. I will not quit as only losers quit and give up. – God knows everything and I am victorious in Christ Jesus! Amen! Too often we look at others and think about how great they are, but God has put greatness in you. He’s put talent, creativity, dreams. He created you to leave your mark on this generation. You’re not supposed to live and die, and nobody knew you were here. There’s something significant about you, something that will cause you to stand out. People will look back and say, “They made the world a better place.” Stir up those gifts. Stir up your faith. Don’t get so caught up in celebrating others that you don’t realize there’s something in you to celebrate.